1. Coat the marinated chicken pieces with a thin layer of all purpose flour, heat up a little oil in a frying pan, sear the chicken pieces until a nice crust formed. Take it out and set aside. 2. Skinned potato and cubed, sliced onion. 3. 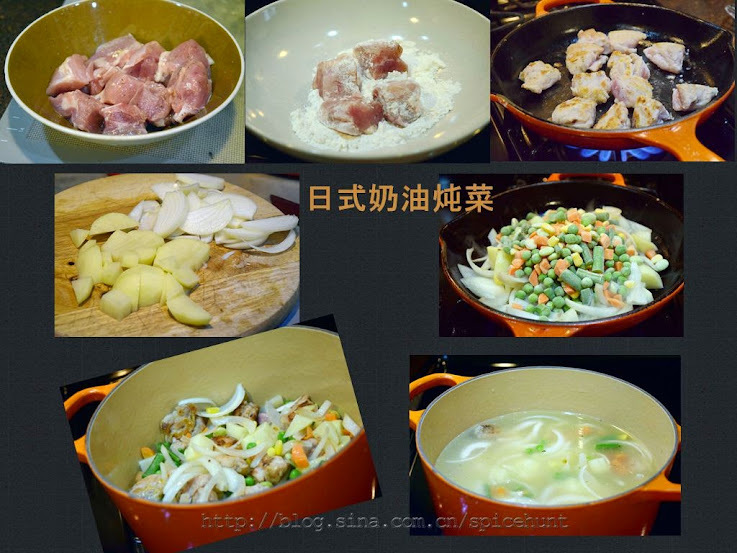 In the same frying pan, add a little butter, saute onion, potato and vegetables. 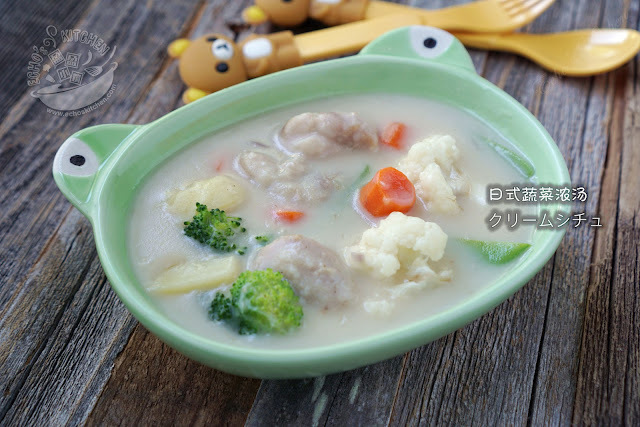 Now place the chicken pieces and vegetables in a cooking pot, pour in the stock and water. Bring to rolling boil and turn the heat to medium and cook for 10 minutes with lid on. 4. 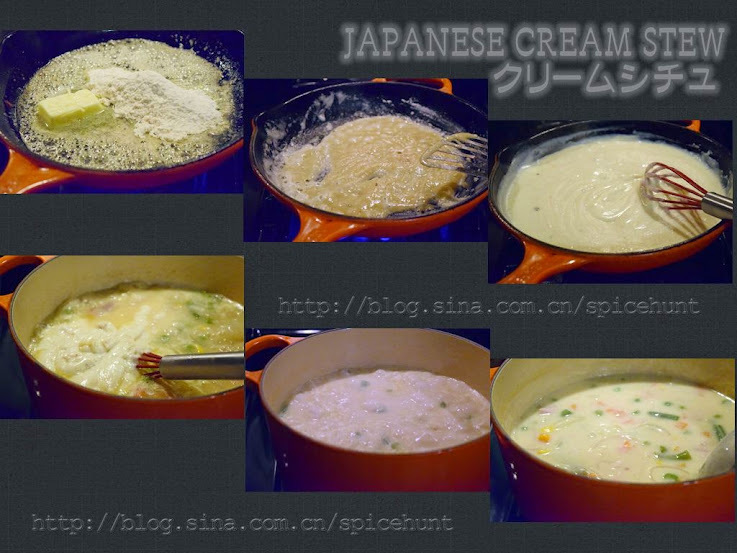 In a frying pan, melt the butter with 3 tbsp of all purpose flour, stir until the flour turn a little brownish in color, slowly pour in 1/2 cup of milk. 5. Using a whisk to quickly and constantly stirring the mixture at medium heat, once the mixture thickened, add it into the stew pot. Continue cooking the stew for another 10-15 minutes until thickened. 6. Season with salt and Parmesan cheese. Add a little black pepper powder before eating. I like to serve mine with french toast or garlic bread, it goes pretty well with pasta too!